Summer is in full swing in North Carolina. Sometimes it is hard to be in an office or warehouse all day when the weather is beautiful outside. 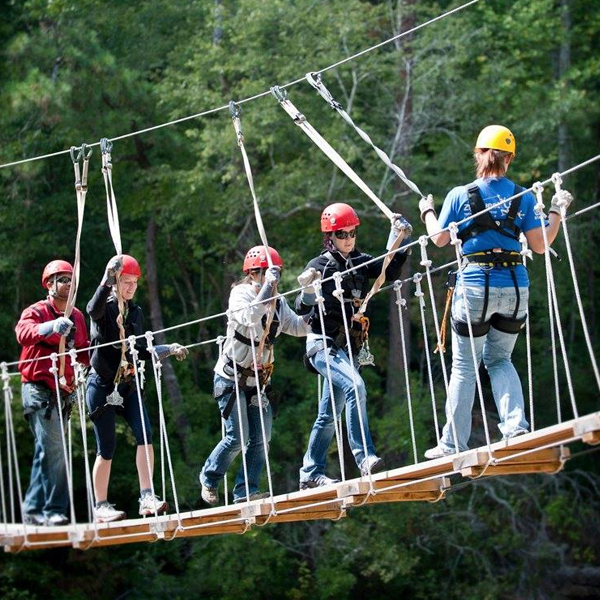 If you and your business or organization are looking for an amazing team building opportunity, look no further than ZipQuest, located in Fayetteville, North Carolina. 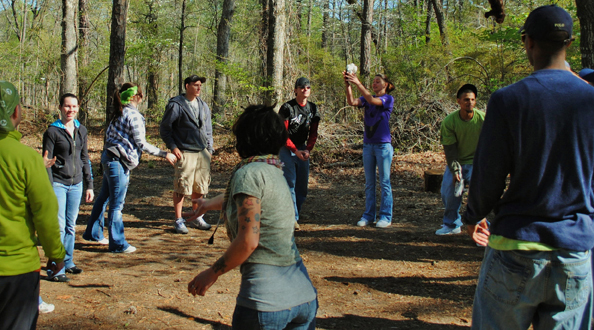 This group based recreation experience is meant to foster and strengthen the bonds between group members in a unique and fun way, using nature as the backdrop. Named TeamQuest: Build and Bond, this unforgettable team building challenge is meant to meet several objectives for your business or organization. Some goals that we hope to achieve by the end of your TeamQuest: Build and Bond experience are better communication within the group, an increase in motivation, sharper critical thinking skills, a clearer picture of leadership potential within the team, a swelling of personal pride and self-awareness among members, a build-up of trust amongst the team, and a birth to new ideas and innovative problem solving in a group setting. TeamQuest: Build and Bond comes with Build Your Own Group Adventure options. When making reservations, team leaders can choose between a number of activity choices. Some options include TeamQuest: Build and Bond activities for up to 6 hours, either our Treetop zipline excursion or our three hour waterfall zipline expedition, or a catered lunch that seats up to 40 in our Millhouse Meeting Reservation Space. Our website lists price options. 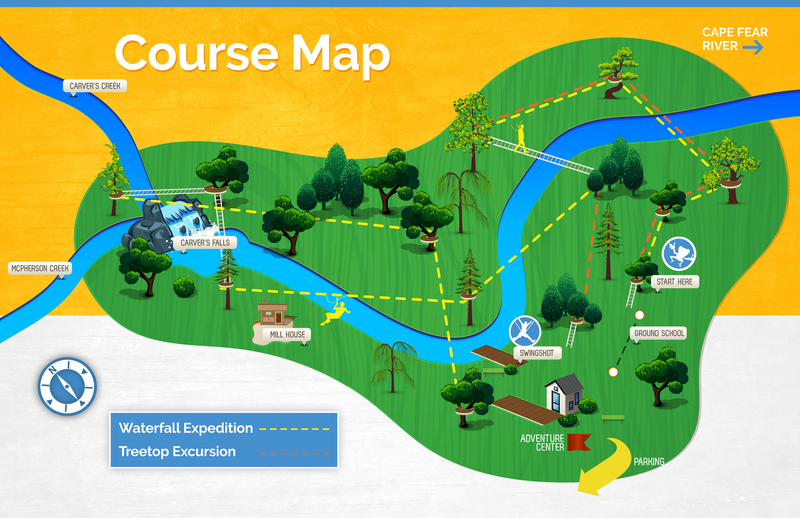 At ZipQuest, we want your team building experience to truly be successful. That is why one of our team leaders will contact you before your arrival to discuss your business and organization. We will talk about the members of your team, the goals you have in mind when choosing TeamQuest: Build and Bond, and how we can best help you get the most out of your ZipQuest experience. If you and your team are in a rut, need a boost in morale, or just want to get out into nature for the day while summer is here, call ZipQuest today at (910) 488-8787 or check out our team building page on our website for more information on TeamQuest: Build and Bond. 8 Fun Facts about Ziplining! Ziplining has been around for quite some time, and many people are brave enough to take on the daring challenge to do such an adrenaline rushing activity. In the earlier times of Ancient China, zip wires as they called them, were used in the Nujiang Valley of Yunnan Province. This area offers mountains, rivers, and valleys. Since they did not have all the equipment we have in modern times, it was hard to cross the rivers safely. Zip wires were the answer to safely crossing the rivers instead of swimming and using ferry rides. To this day, some of the original lines remain and are being replaced with modern day ziplines. North Carolina is the state with the most ziplines. The Tarheel state has 24 commercial ziplines . 72 countries and six continents in the world have commercials ziplines. The most people to go down a single zipline in one hour was 183 – achieved by ACE adventure resort in West Virginia on June 3, 2012. You can travel internationally on ziplines. The Limite Zero Zipline crosses the Guadiana River from Spain to Portugal. Ziplines in Costa Rica generate approximately $120 million in annual revenue. 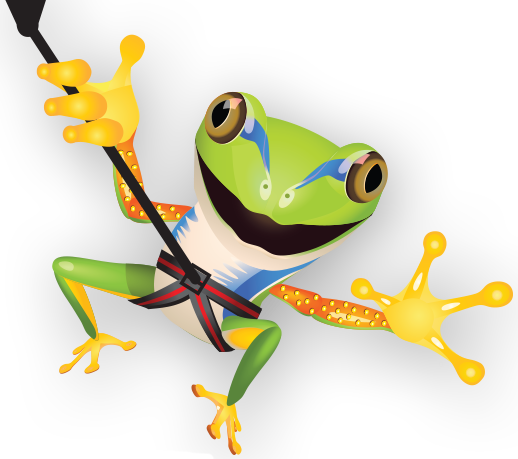 Ziplines are also known as Zippy’s, zip wires, aerial runways, aerial rope slides, Tyrolean traverses or canopy tours. Children in the Hongdae village in China use a zipline to cross a 460-foot deep and 260-foot wide gorge to travel to and from school. With an aerial view from up above and life-changing fun, take the chance and zipline today at Zipquest. Learn more at www.zipquest.com. Until next time. Happy Zipping!